If you’re in Thailand during the first month of the year, then you’ll want to attend this event. 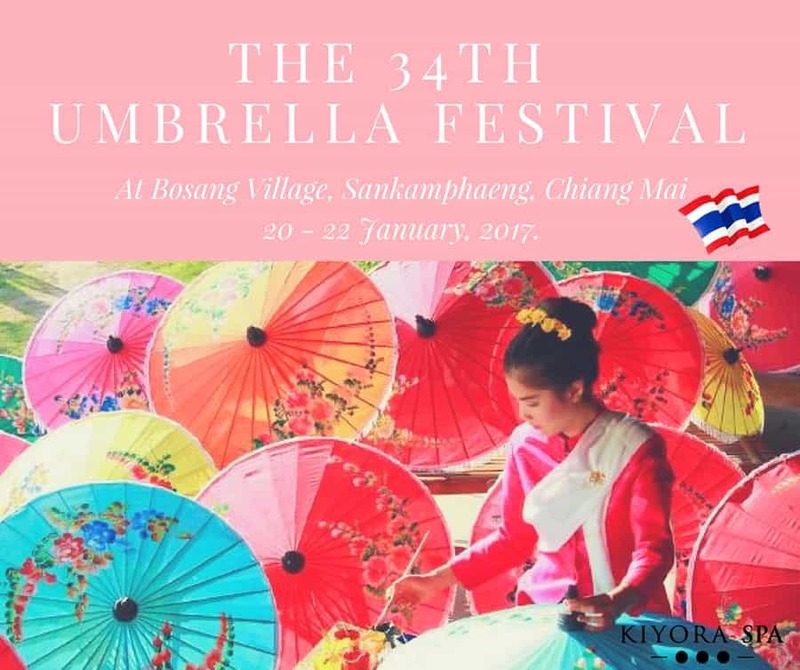 The annual Umbrella Festival takes place in the Bo Sang village, located approximately 6 kilometers from Chiang Mai, Thailand. 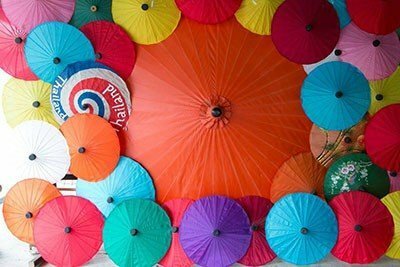 Gorgeously developed and vibrant umbrellas are decorated with creative designs and feature seasoned artwork by local artists who specialize in the age-old craft. If you’re not familiar with the event, you’ll be impressed how an item we take for granted can be the focal point of a festival. In fact, the event puts the village of Bo Sang the place to be in January! 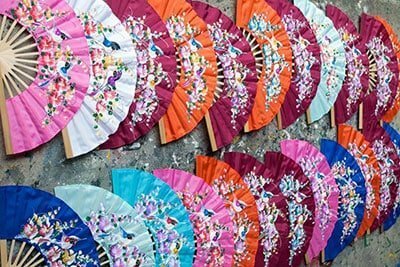 When does the Umbrella Festival take place? The yearly tradition takes place on the third week of January. Festivities begin on Friday and last right through until Sunday evening. How do I get to Bo Sang? The Bo Sang village is just 6km from Thailand’s tourism hot-spot, Chiang Mai. There are several routes to the village, including their most popular method of transport, the white songthaew (Note: don’t get on the red one as it doesn’t go to the village!). The transport will set you back approximately 20 to 30 Baht and the journey will last between 20 to 30 minutes. You may also get there by tuk-tuk, although it costs a bit more than the songthaew. If you ride a scooter, you can go right to the village on your own. Finally, a bus departing from Chiang Mai’s bus terminal can take you right to Bo Sang. The Umbrella Festival is a bit of a contrast to Bo Sang’s agricultural economy. However, tourism finances a big portion of the city’s economy. Believe it or not, the origins of this craft don’t stem from Thailand. Apparently, a Thai monk discovered the umbrella-making technique while visiting Burma. Upon his return to Bo Sang, the monk enlightened the villagers with his newfound knowledge of the detailed handicraft. 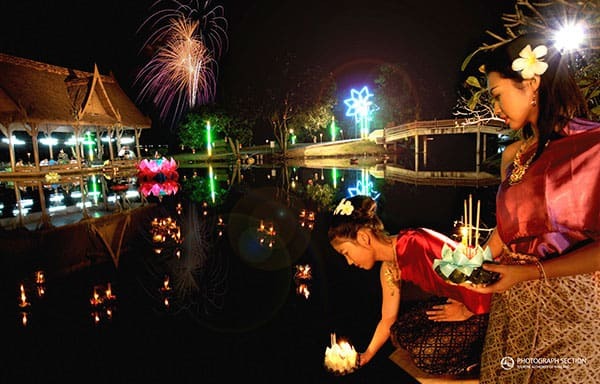 Ever since then, the yearly occasion is celebrated and as such, the craft has been synonymous with Thai traditions. What is so unique about these umbrellas? These vibrant and special umbrellas are created with a saa, a unique paper that is processed from mulberry oak. The paper is coated with a waterproof oil. Once the paper is used to construct an umbrella, artists then paint them with lovely Thai decorations! The umbrellas are very lightweight, and tourists love taking them home as souvenirs. What happens at the Umbrella Festival? Bo Sang is full of life, light, energy, and color during the three days of the Umbrella festival. During this time of year, patrons get to show off their handiwork, which they usually prepare for during the autumn months. The celebrations start on Friday as the Governor launches the inauguration. This is followed by the Bo Sang Beauty Pageant, where participants ride bikes showcasing colorful umbrellas that shield them from the sun. There are also various umbrella-making competitions, and vendors are on site to sell umbrellas, lanterns, and other festival novelties. There are also numerous cultural programs that happen during the festival. Perhaps the best part about the Umbrella Festival is the food! Enjoy delicious snacks at fair rates. 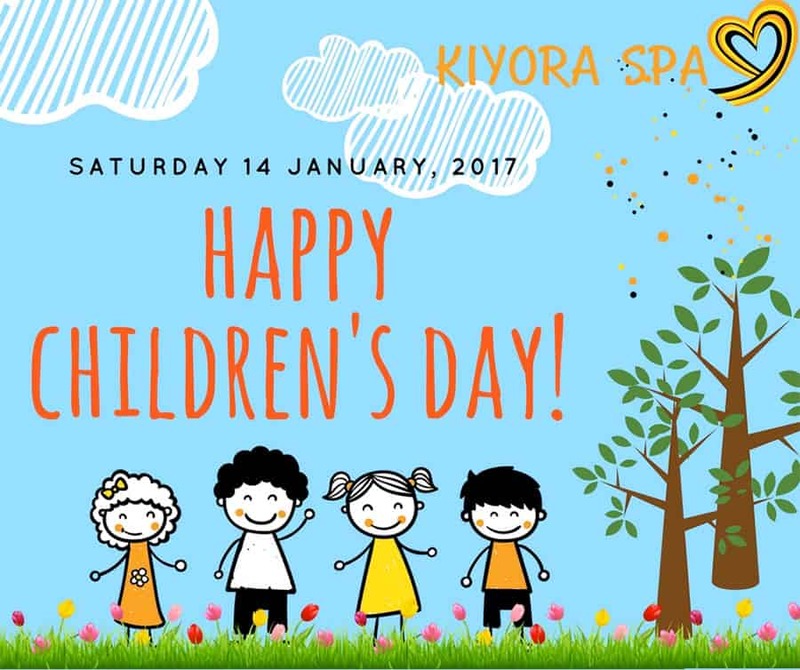 Kids have their own section to play with toys, get on rides, and partake in contests! As you can ascertain, there is plenty to do at the Umbrella Festival. You’ll be surrounded by a lively crowd as you listen to cultural music and feast on traditional food!